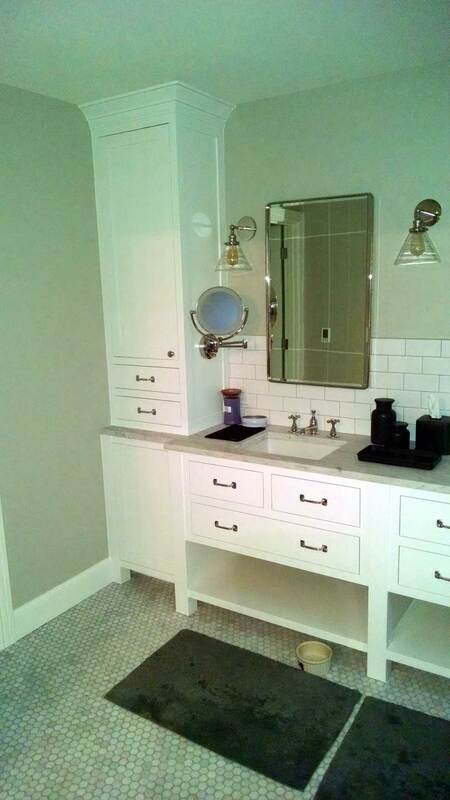 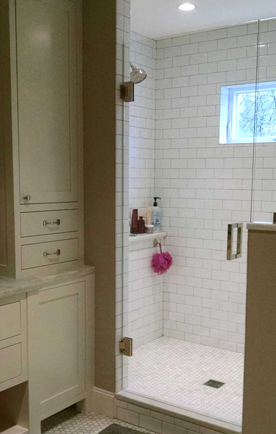 John Sramek Remodeling opened up this small bathroom to create more space—without increasing the square footage. 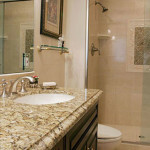 A full granite-tiled shower with a custom inset design takes the place of a dated fiberglass stall. 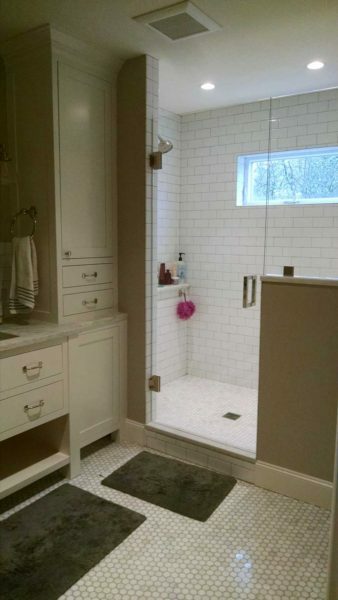 The shower’s rimless door creates a sense of openness. 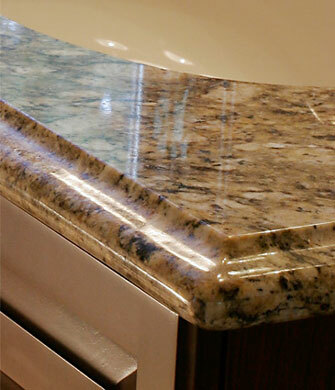 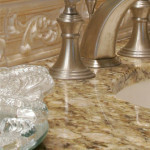 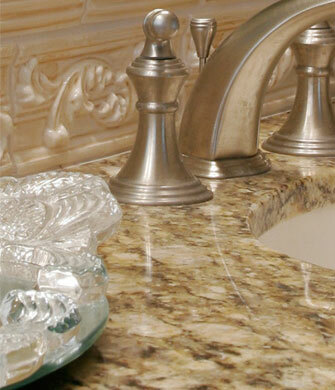 Keeping with the granite theme, a granite countertop houses a set of undermounted sinks featuring brushed nickel hardware from George Morlan. 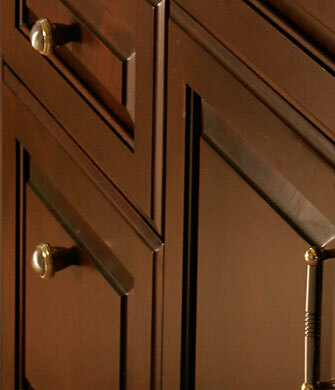 Below, elegant cherry cabinets make for stylish storage while above, large beveled mirrors enhance the room’s spacious feel. 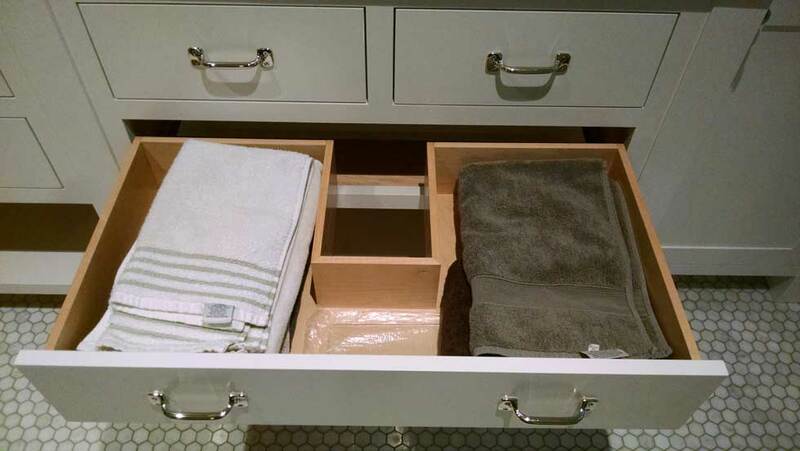 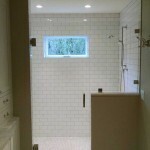 Updating this bathroom took some creative problem-solving, because the owners still needed to use the adjoining master bedroom during construction. 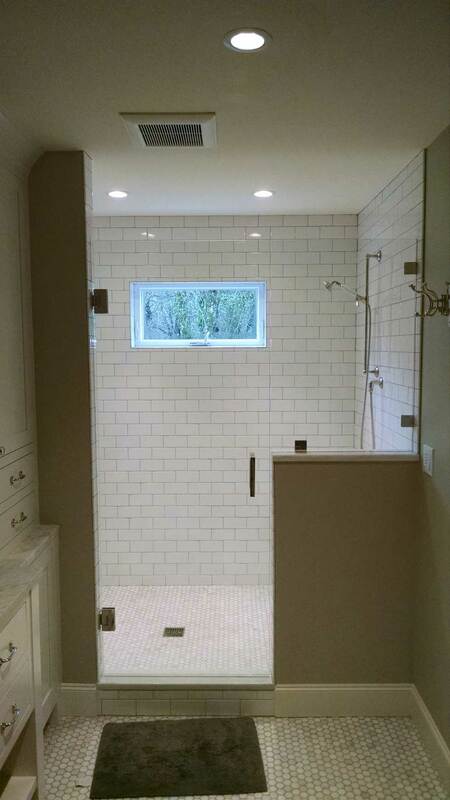 How do you seal off a bedroom while still providing access to it’s bathroom? 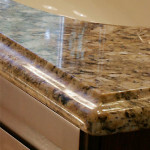 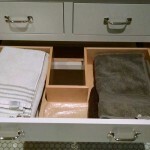 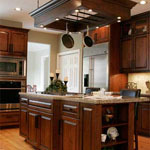 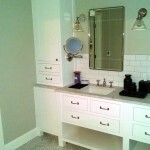 Ask John Sramek Remodeling! 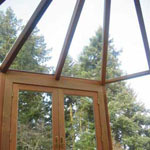 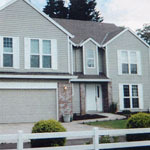 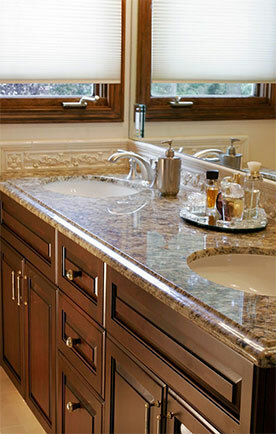 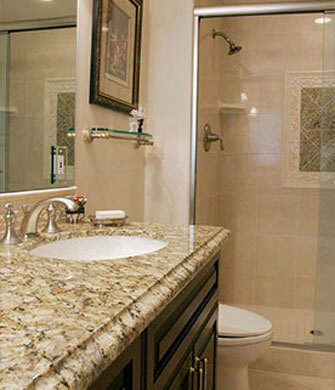 They are experts at finding solutions to make the remodeling process as comfortable as possible for your family. 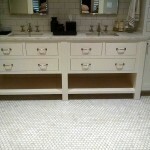 In this classic white-on-white bathroom, the octagon-tiled floor boasts electric heating and cabinet space is plentiful. 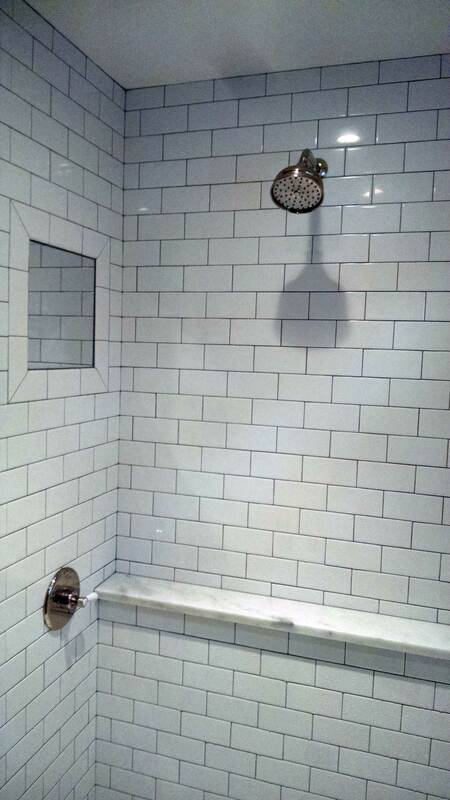 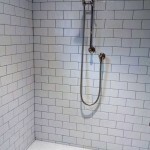 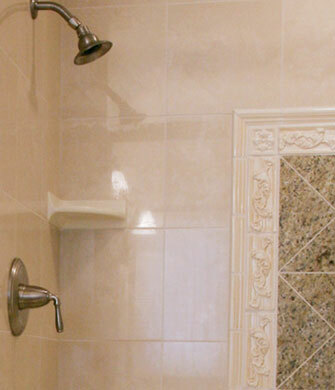 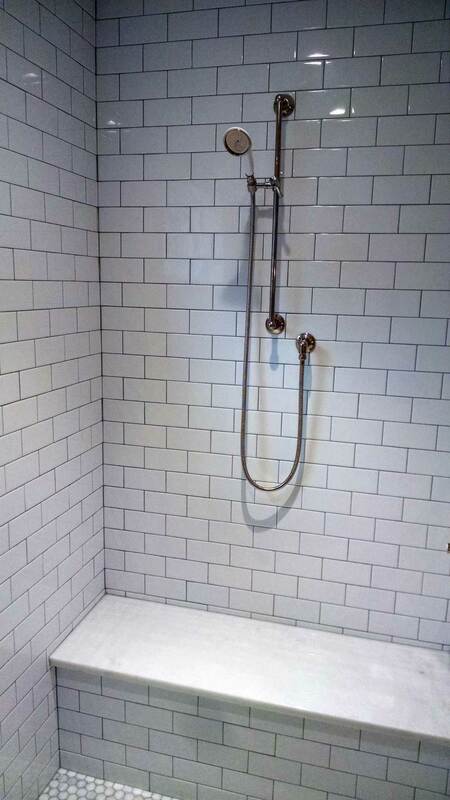 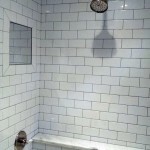 The shower includes two showerheads, a granite seat, and a granite shelf for storing shampoo and other toiletries. 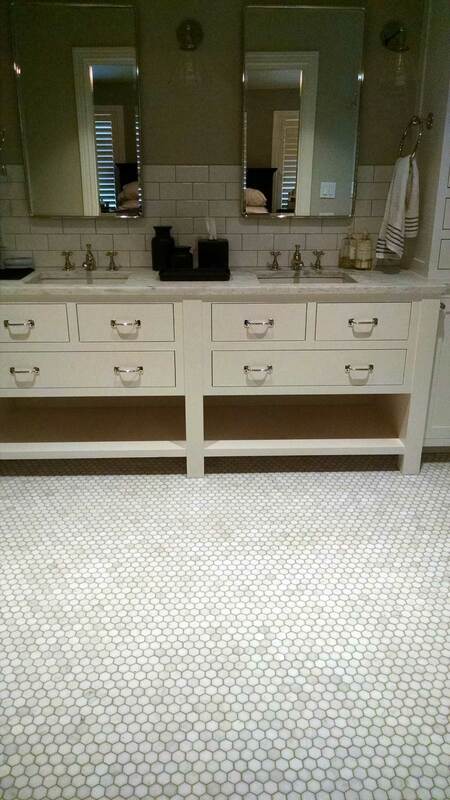 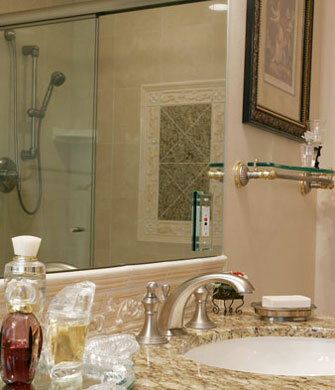 Two basins and mirrors make the room bright and comfortable to use.